Designed to be your own personal coach, the miCoach FIT SMART provides simple and straightforward visual guidance to keep you on track, motivated, and training smarter and more effectively. It features an integrated accelerometer that tracks pace, distance and stride. It also syncs wirelessly with the miCoach Train and Run app, which lets you set weekly goals and set up your personalized training plan! This definitely makes a great gift for someone who is active or wants to be active! Buy a gift of CHARGE! Integrated Lightning and Micro USB Cables plus a full sized USB output port that allows you to connect a USB cable to charge virtually any device. 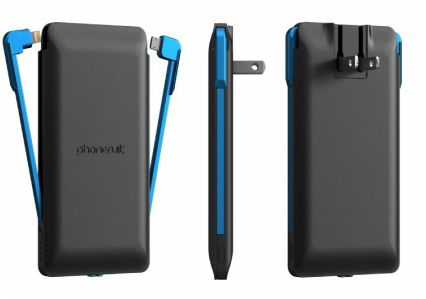 3500 mAh Li-Ion battery and advanced chipset can deliver up to 200% extra charge depending on the device. Charge your Journey using the integrated AC wall charger or included Micro-USB cable when you're not near an outlet. Give a gift of STYLE! Buy a gift of POWER! Style meets power with the brand new 2000mAh Style Power portable charger. This stylish powerbank is the perfect solution for the fashionista who needs to stay charged on the go. Complete with an integrated USB recharge cable, the Style Power can be used approximately 500 times. A compact charger, the Style Power is perfect for a quick charge anywhere. Use your own cable to charge your smartphone, or other USB device, and use the integrated USB recharge cable to recharge your Style Power via computer, car or wall adapter. Buy a gift that's FUNCTIONAL! HandL is a gripless, dropless and easy to use cell phone case for the iPhone 6 Plus and Samsung Note 4. The sleek retracting finger brace allows for secure finger placement and easy pocket entry. In addition to multiple hand positions, the HandL case can also be used in landscape or portrait modes. Buy a gift that uses Solar Power! Mega on the go power with 15,000 milliamp capacity that can provide up to 10 full charges for the average smartphone. Dual USB ports allow for charging of 2 devices at once and Instasense technology makes sure each device gets the power that it needs. Carabineer clip and the lightweight compact form factor makes this battery pack easy to clip to your backpack or belt. The efficient 200mAh solar panel means that you’ll always have access to emergency charging power. Powers tablets, GPS, smartphones, portable game systems, action cameras, dash cams and most USB devices. Give a gift of SOUND! ​This waterproof speaker includes 2GB of flash storage, meaning you'll never need your phone for more intense outdoor activities. The improved acoustics with professionally tuned amps from previous models make it the highest rated speaker in it's class. ​The ultraportable, rugged speaker has a rechargeable battery that keeps playing all day long, Siri integration, and a one year no-matter-what warranty. Give a gift of SAFETY! Give the gift of UTILITY! A tangle of cords. A broken cable. A missing adapter. In everyday life or on the road, this can be inconvenient and annoying. In the outdoors, this might mean the difference between getting completely lost and left in the dark, or staying powered-up and safe. 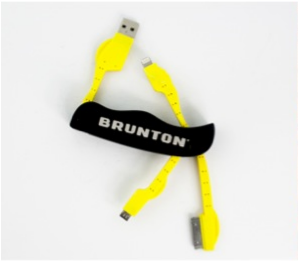 Combining adapter ends from some of the most widely used outdoor gadgets into a form factor any adventurer can recognize, Brunton Power Knife is just as important as a pocket knife in the pack of today’s connected adventurer. Give the gift of CLARITY! 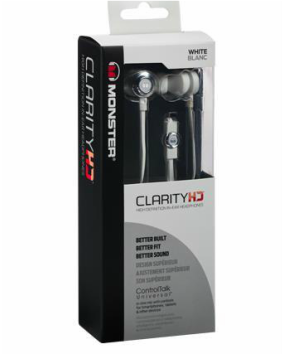 Hear your tunes in crisp precision with the Clarity HD Model One headphones from Monster. Delivering a deep low end response and smooth articulate highs, the headphones offer realistic audio for an immersive listening experience. The ControlTalk mic and remote also gives you convenient control of your music and allows you to take hands-free calls. These are the perfect headphones for on the go! Make your iPhone 6 or 6s glamorous with this cover. Iridescent crystals and glitter cover the white case for an incredible shine! Give the gift of SANITY! ​For those days when the remote control seems to have walked off the face of the planet, there's Tile. 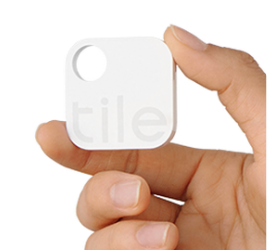 Tile is a tiny Bluetooth tracker and easy-to-use app that locates everyday items-like your phone, keys, and wallet-in seconds. Spend less time exploring that lost world behind your seat cushions and more time doing the things you love. Never worry about charging or replacing the battery for at least a year - it just works with zero upkeep. Give the gift of iPad Protection! Give a gift of stylish protection for the iPad PRO. 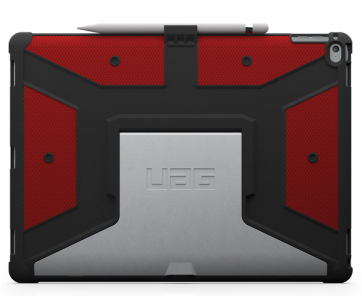 The Under Armor iPad cover has an impact-resistant soft core & Frogskin exterior non-slip grip. It includes an aluminum stand with 5 angular positions and portrait viewing mode. It gives access to the touch screen, buttons and ports. It includes a built-in Apple pencil holder and is compatible with Apple Smart Keyboard​. Designed to carry your 15” laptop in a secure and uber-protective style, the STM Trust Laptop Bag can be relied upon for your everyday digital commute. It contains Ample room for your lunch, an extra pair of shoes or even a small change of attire. It's the perfect bag for an urban excursion via bike, train, or plane!